I'm starting the week off with this super motivating quote from Audrey Hepburn, the queen of elegance and role model for so many. 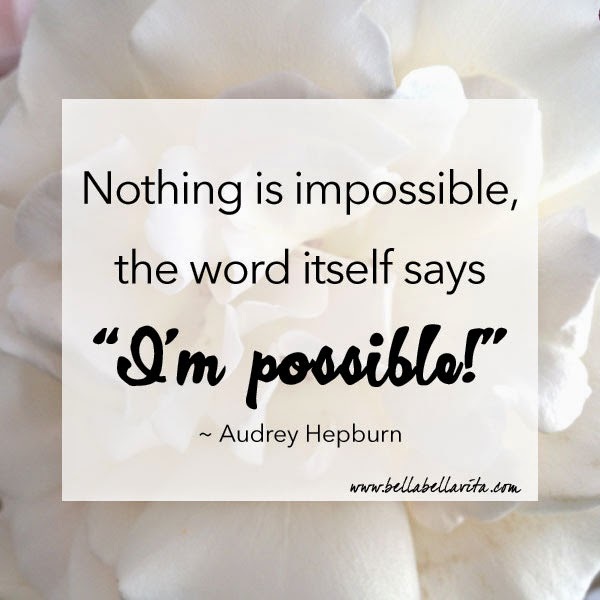 Hope that it puts some "possible" into your week! Wishing you a motivated Monday!